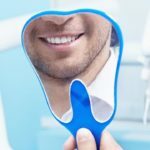 So what is the importance of a dental check-up, why bother? 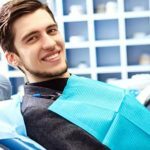 Regular dental check-ups are essential for maintaining healthy teeth and gums and while there is naturally a cost for this service, it can actually save you money in the long run. The bottom line is that a checkup and clean can help prevent dental issues from occurring and when any problems are detected in their early stages, they’re easier to treat and ultimately, less expensive! Dental check up frequency varies depending on the individual patient but on average it’s usually every six months. If you’re ever tempted to skip a routine dental check up either because of anxiety or cost, then be aware that by doing so it could cost you dear, both in terms of peace of mind and your overall well being. Oral cancer – Your dentist will check your mouth, gums and tongue for signs of oral cancer by shining a special light inside your mouth. They’ll also check for any lumps, swelling, or other abnormalities in your jaw, neck, and lymph nodes. Should an abnormality be noticed, you’ll be referred to another medical professional, since this could be a sign of a different type of cancer or serious illness. Failure to attend regular check-ups means that you’re missing out on this important health check. Plaque, tartar, and cavities – Plaque is responsible for causing teeth to erode and for cavities to form and unfortunately by the time you feel any pain, the damage has already been done. Sometimes it’s hard to reach all areas of your mouth with a toothbrush to remove plaque. Your dentist or hygienist will carry out dental cleaning to rid your mouth of any plaque before it becomes destructive and before it can lead to gum disease and cavities. Problems under the surface – A crucial part of a dental check-up is to get your teeth and jaw bone X-rayed. This shows your dentist just what is going on below the surface and highlights things which aren’t visible to the naked eye. For destructive diseases which spread quickly but show few symptoms, it’s the very best way to stay on top of your health. So are dental check ups worth it? Most definitely yes. But before rushing to your nearest dentist to book an appointment it pays to do your homework. Did you know that when it comes to dental costs, dentists are free to set their own prices? This can lead to a disparity in pricing even for something a simple dental check up and clean. In fact, according to a survey carried out in 2017 by dentist cost comparison site, My Tooth Fairy, prices tend top be highest in the more affluent suburbs of Melbourne. That said, there is also a significant price difference within the electorates themselves, with some dentists charging twice as much as others for identical treatments. It seems that by shopping around you can save yourself hundreds of dollars, so it’s well worth taking the time to do so. If you’re looking for a ‘dental check up near me’, then why not give Point Cook Dental a call on 03 8595 2630 . With 40 years of experience between our 6 dentists coupled with realistic and competitive dental costs, we’ll ensure your smile is as healthy as it can possibly be without it costing you the earth.